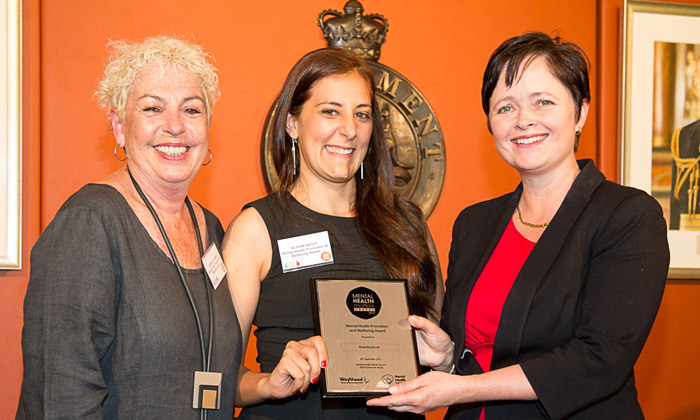 Community groups and individuals from across New South Wales have been recognised for their efforts promoting mental health and wellness programs in their local communities, for the 2017 Mental Health Matters Awards. 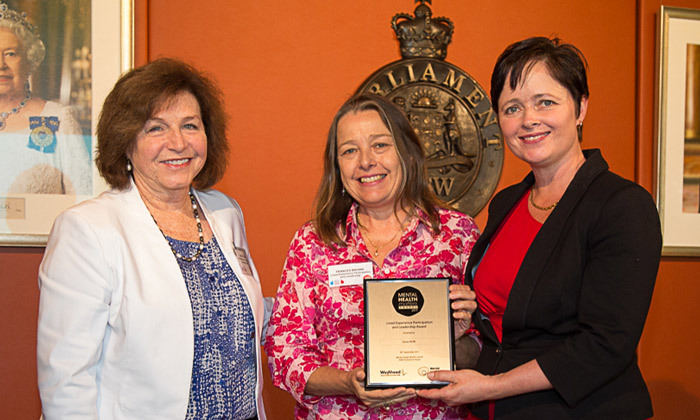 This year’s award winners were announced on Thursday 28th September during a lunch marking the official launch of Mental Health Month, held in New South Wales Parliament House. Clarence Youth Action is an inclusive and diverse group who meet regularly to make decisions that relate to young people, work on community projects, organise events and participate in forums. 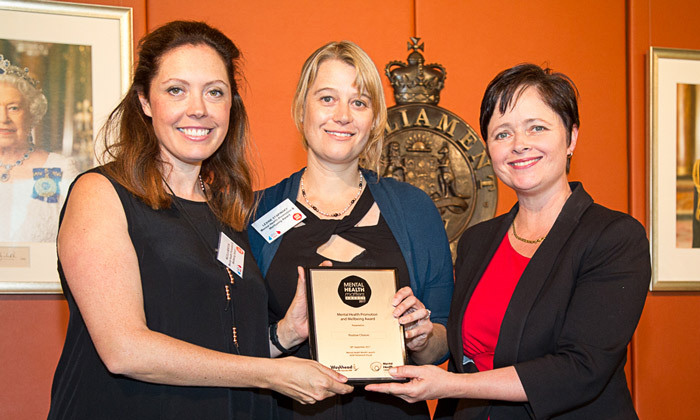 They provide a platform that encourages greater participation by young people in a range of community initiatives. Membership benefits young people by giving them the opportunity to develop skills they can use throughout their lives, such as leadership and decision making skills, working collaboratively, developing creative ideas and undertaking projects that benefit young people and the broader community. Produced by the award-winning Princess Pictures, My Year 12 Life is a raw television series which follows the journey of fourteen teenagers in their final year of school. Introducing audiences to a new form of story-telling, these students share their lives, feelings and insights through personally-captured footage. Packed with emotion, hilarity, heartbreak and suspense, the resulting series reminds us of how pivotal Year 12 is and what the future looks like at 18. It highlights parental, cultural and school pressures; body image; stress and anxiety; and school and social life balance. Given its relevance and relatability, the series has aired on a number of Australian channels and remarkably made available to all schools with an episode-by-episode study guide. The Grow Group Program is a weekly meeting initiative organised by Grow NSW which creates a welcoming space for individuals experiencing mental illness, to support one another through their journeys of recovery and the achievement of personal goals. Complementary to clinical interventions, Grow Groups aim to change thinking and behaviour by offering strategies on how to deal with an emotional crisis, manage feelings, think by reason, take responsibility for one’s actions, but also, realise personal worth and improve relationships. This is delivered through peer support, group discussions, social outings, training interactions and literature readings developed by members. Currently, Grow has achieved astounding results, delivering over 180 Grow Groups and having over 2,500 people attend groups on a regular basis. For the last ten years, Peter Heggie has lived experience as a carer looking after his wife who lives with mental illness. Currently, Peter is the Carers Australia representative to the National Mental Health Consumer Carer Forum (NMHCCF). Peter has exhibited exceptional skills in networking and identifying connections that can strengthen the work of mental health in the community. Some of his achievements have included creating an NDIS Carer Statement currently endorsed by the NDIA and promoting stronger linkages between the Primary and Local Health Districts and community-based organisations. Peter believes that maintaining a strong recovery orientation in mental health care is vital, as well as the recognition of peers in the co-design and development of programs. 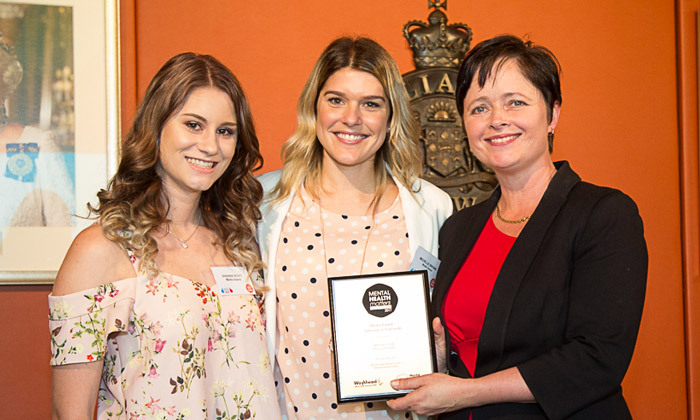 Positive Choices is a national drug prevention portal expanding the scope and reach of evidence-based drug prevention across Australian schools. Developed in close consultation and collaboration with teachers, parents and students, this notable portal provides centralised access to a comprehensive range of drug prevention resources, all of which meet the Positive Choices criteria for relevance, quality and evidence basis. Providing users with a wealth of information, these include fact sheets, games, videos and resources that can be used by teachers to develop lesson plans which align with the Australian Curriculum. Overall, this cost-free portal, which has been accessed nationally and internationally by over 63,000 users, has equipped many parents, school leaders and staff to respond more effectively to the prominent issue of substance use. Recognised Australia wide for mental health awareness and education, Mind Blank Ltd is a grassroots organisation delivering the highly interactive Sub-Conscious Understanding for Better Awareness (SCUBA) Initiative. Touring to high schools and service providers all over NSW, SCUBA delivers workshop-style performances showcasing “worse-case” mental health scenarios to young people. Ingenious in its approach, the cast replays scenes after inviting the audience to provide suggestions on how certain scenarios can be resolved. This allows viewers to learn about the protagonist’s life and their opportunities for seeking help in the performance. 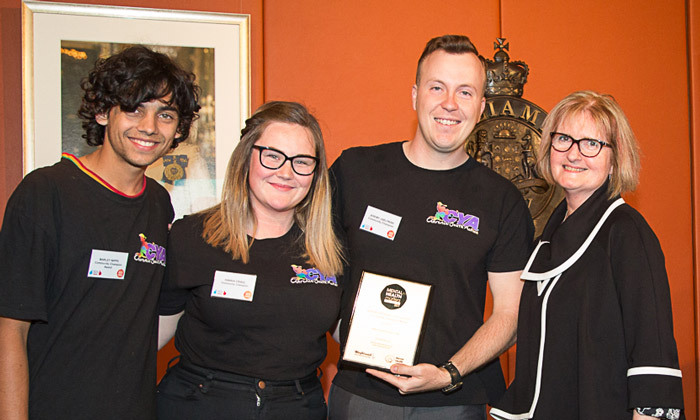 Overall SCUBA aims to increase the number of young people practising self-care and encourage help seeking behaviour, in the efforts to reduce the risk of youth suicide across the nation. 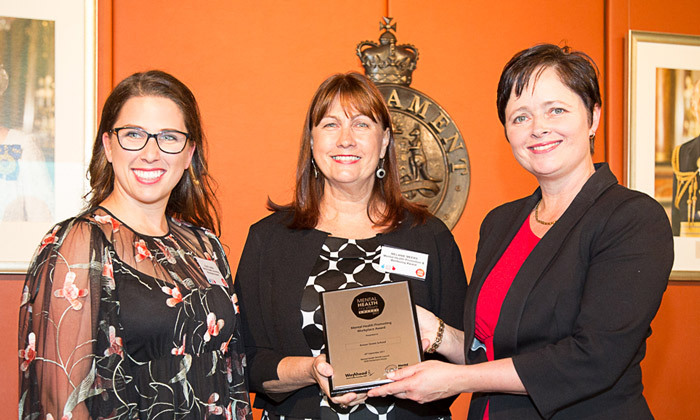 Awarded accreditation as an Evidence Based Program for the Federal Government’s Institute of Family Studies in 2015, KidsXpress is an innovative, transdisciplinary approach to early intervention trauma therapy. Uniquely combining different forms of expressive therapy including music, art, drama, dance and play, this outreach program has been delivered across 21 schools throughout Inner and Western Sydney, reaching over 350 children in need. Led by expert therapists, this approach to trauma-informed care has created safe and nurturing environments where children can use creative expression as tools to explore and better understand themselves, their past experiences and the complex emotions they’re currently experiencing. Fundamentally, KidsXpress has aimed to equip children with life-long resilience and coping strategies, preventing their current challenges from persisting into adulthood. In collaboration with Mental Health First Aid Australia, THRI have tailored a training course to educate community-based workers on how to provide initial help to individuals from an Iraqi background experiencing PTSD and depression related crises. 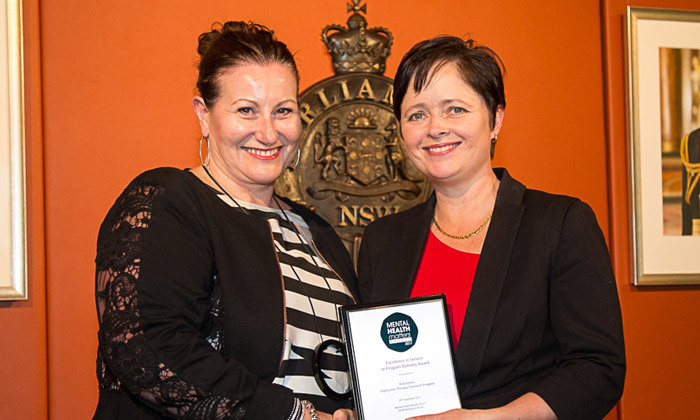 Using the highly successful Mental Health First Aid training model, this tailored Mental Health Literacy Course was delivered to 86 participants from several NSW based organisations. Given its adapted approach, the intervention has been highly effective, helping trainees improve their recognition of PTSD, reduce their negative attitudes towards PTSD and depression related problems, change beliefs regarding treatment to align with those of mental health professionals, and improving confidence when helping Iraqi refugees. Additional guidelines have also been developed to further assist work with this cultural group. 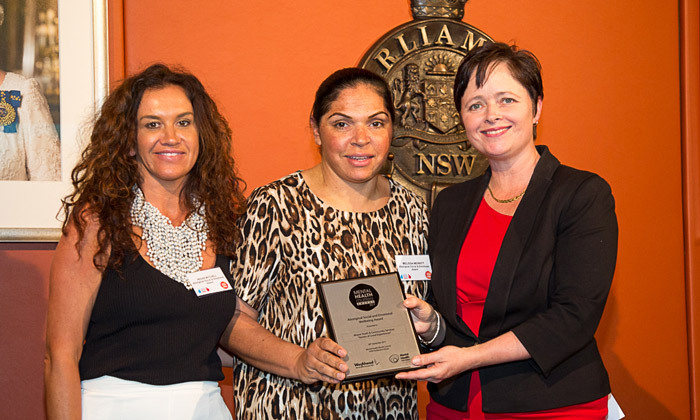 Weave Youth & Community Services (Weave) is at the forefront in providing casework, counselling, social activities, creative arts and community development projects to socially excluded young individuals in Sydney, including those from the local Aboriginal Community. In 2016, Weave undertook the “Stories of Lived Experience” project which aimed to improve the outcomes for Indigenous and non-Indigenous service users experiencing severe and persistent mental illness and their carers. Taking the form of a thought-provoking documentary film and photography exhibition, the project uniquely captures individuals’ lived experience of therapeutic relationships and service delivery. 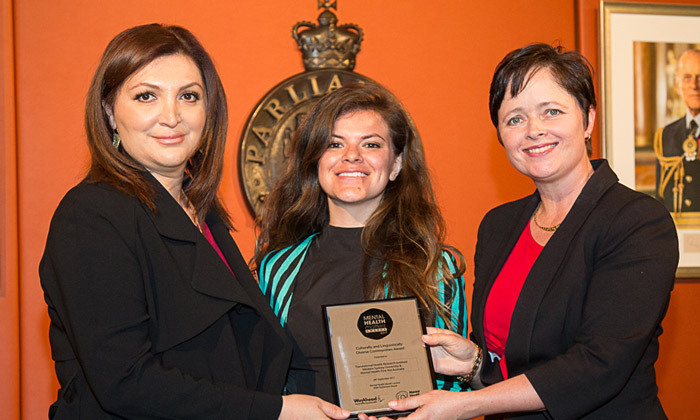 These insightful stories essentially helped build an understanding of how the mental health sector can better support the social and emotional wellbeing of Aboriginal communities.